Happy Sunday! 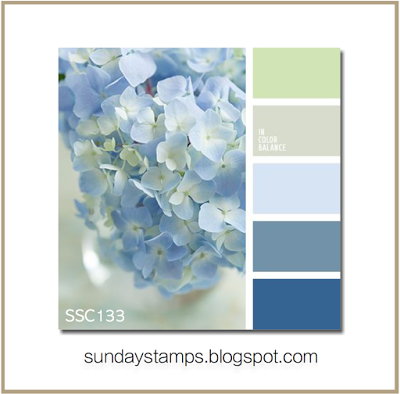 We've got a new challenge over at Sunday Stamps and it's all about shades of blue, with a pop of some green and gray. The colors I used for the challenge are the green, the gray, some dark blue (sentiment) and white as my neutral. I used the current Freshly Made Sketches as my jumping point for my card, and the long panel on the right was the perfect spot for this PI image from My Favorite Things. I embossed the panel to get some texture. Sorry for the poor picture, it's been raining all week and I was in a hurry! Head over to Sunday Stamps to see what the rest of the team created and then play along with us! This is such a wonderful card! I love your choice of colours and image! Thanks for joining us at FMS this week! Lisa, what an awesome card! Excellent coloring and piecing together for this cute little girl!